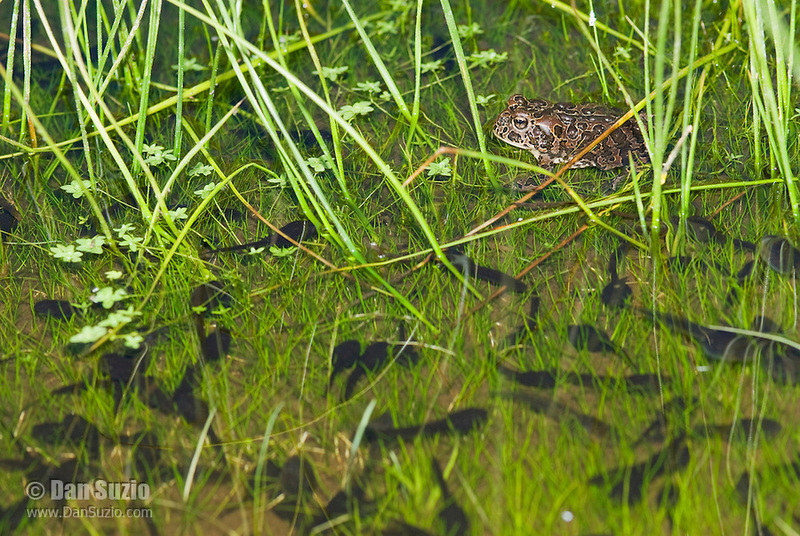 Female Yosemite toad, Bufo canorus, resting in shallow water in a high elevation meadow in California's Sierra Nevada mountains. Also in the water are tadpoles of the same species. Once widespread in the high Sierra, since the 1980s Yosemite toads have disappeared or severely declined in over 50% of their former range, and now survive only in a handful of wet meadows. The toad is listed as a Species of Special Concern under the Federal Endangered Species Act as well as by the State of California, and is listed as Endangered by the IUCN.